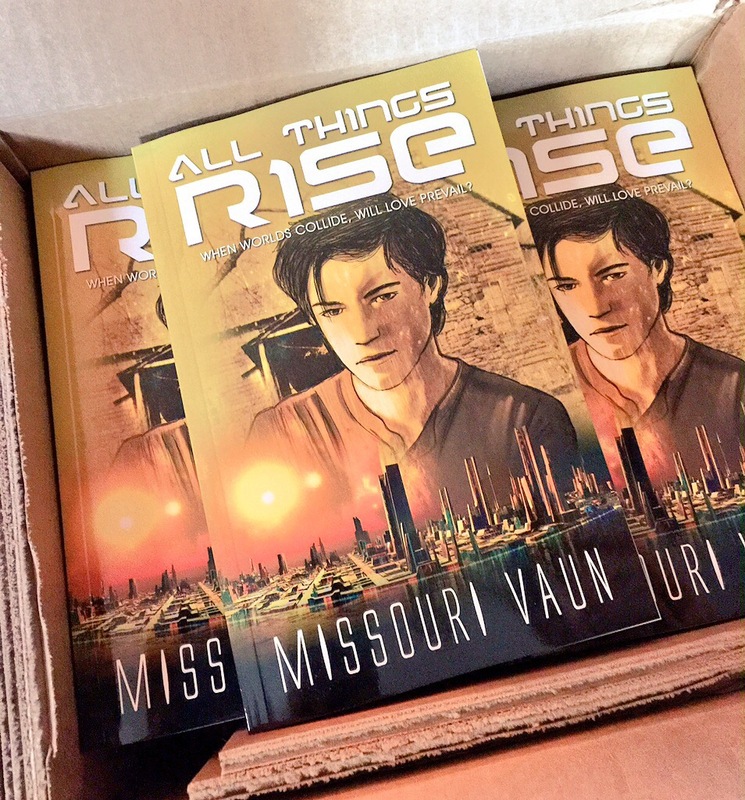 All Things Rise is Out May 12! The names of the main characters in All Things Rise: Audrey, Cole, and Ava. I first started working on All Things Rise more than a year ago. This particular manuscript went through probably three significant rewrites before I got to the version that was worthy of publication. It was a fun process to evolve as a writer alongside the characters. This book is a little unusual because it’s told from three different points of view. I’m not sure if I would do that again because it was complicated to give all those characters an equal voice. I’ve been finishing other manuscripts while waiting on this one to be released. It was helpful to have the distraction of other projects because the suspense of waiting for this first book was tough! And now finally, here it is. I got my box of advance copies this past week. I’ve actually been keeping the box by my bed. I’ve opened it more than once to see that the books are real and are still there. It was really fun to write a story where being gay is accepted openly. I imagined a time when being gay is as unquestioned and un-judged as is having blue eyes. Some might call it fantasy or science fiction. I’d like to think it’s the future. I look forward to hearing what readers think of All Things Rise when it is released on May 12th. Looking forward to reading it! Congratulations!